T-Mobile is working with Ericsson and Nokia to deploy its 5G network. Ericsson and T-Mobile US have signed a $3.5bn-heavy deal to support the telecom’s 5G network deployment, the two companies confirmed recently. 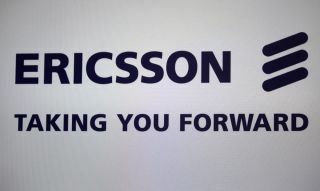 Reuters is reporting that this is the ‘biggest 5G order that Ericsson has announced’. Ericsson has been pushing into 5G quite aggressively, lately. In early August, the company announced it was teaming up with Audi to bring 5G into cars. In July, the company warned that Europe might be falling behind North America, when it comes to adopting 5G technologies. The company's Ericsson Mobility Report says almost half of all mobile subscriptions in North America will be for 5G by the end of 2023. In contrast, North East Asia will have 34 per cent and Western Europe 21 per cent. Ericsson says forecast for cellular IoT connections has nearly doubled since November 2017, and is now expected to reach roughly 3.5 billion by 2023. In July, Nokia announced that it had also agreed on a deal with T-Mobile US, in the same amount. Although still a work in progress, and still lacking official standards or regulation, 5G networks are expected to launch across the world by 2020, working with existing 3G and 4G networks to provide businesses and consumers alike with speedier connections that stay online no matter where you are. You can find everything you need to know about 5G on this link.